If you choose to collect your workers’ compensation as a one-time lump-sum settlement, our Scranton, PA, firm will assist you in negotiating a fair agreement, even against a large insurance company. We are caring and knowledgeable and will provide you with the legal support you need. Our attorneys can help clients determine if a workers’ compensation lump sum is the more beneficial option for their situation. Worker’s compensation claims cover not only your medical expenses, but also provide weekly payments while you are out of work due to your injury. The amount of money received with these weekly payments depends on the severity of the injury. Eventually the amount decreases, typically to 75% of your weekly wages (known as partial benefits), before ending completely. Workers who are improving and may not need the full extent of benefits provided and those who are unlikely to need future medical care for the injury often find the lump sum more beneficial. For some injured workers, taking a lump sum is more beneficial than the structured payment process. By calculating the value of your claim with the help of an experienced attorney, you can determine an appropriate lump sum settlement amount. Unlike with structured payments, taking a lump sum means giving up your rights to future workers’ compensation benefits for this particular injury. It can also mean your own health insurance will refuse coverage should you need future medical care. In general, lump sum settlements are more beneficial to your employer and their insurance company than to you, the injured worker. It allows the insurance company to settle the claim for less than they might have to pay for the full extent of the claim with structured payments. Some workers can benefit from the lump sum settlement, though. Choosing a lump sum settlement can ensure you receive adequate payment for your injury. Rather than receiving payments in installments, you receive the money right away. It is also more beneficial if your injury or illness is temporary and it is unlikely that you will need future medical care. Additionally, a lump sum settlement can ensure you receive payment whereas you might not receive any benefits otherwise. This could be the scenario should the company declare bankruptcy. Is a Lump Sum Right for You? The best way to determine if a lump sum settlement is right for your situation is to speak with our attorneys at Foley Law Firm. Workers who are improving and may not need the full extent of benefits provided and those who are unlikely to need future medical care for the injury often find the lump sum more beneficial. In some cases, structured payments may total less than what a lump sum payment would provide. 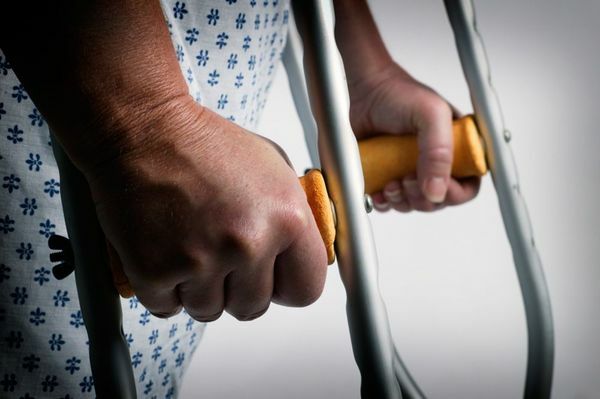 If you are finding it difficult to prove that your injury happened at work, a lump sum can avoid a trial that could result in a complete loss of any form of benefits. If you suffered an injury at work, the insurance company may be pressuring you to settle your claim. Before you do, we urge you to contact our law office to discuss your case and possible settlement with one of our expert attorneys. They can help you evaluate the value of your claim to determine if a lump sum settlement is in your best interest. We also provide assistance for workers facing complications due to an impairment rating evaluation.